Park is open for day use from 7:30 AM to Sunset. Nestled in the hills above the suburbs of the Inland Empire, Wildwood Canyon offers panoramic views of the surrounding valleys in an unforgettable nature experience. 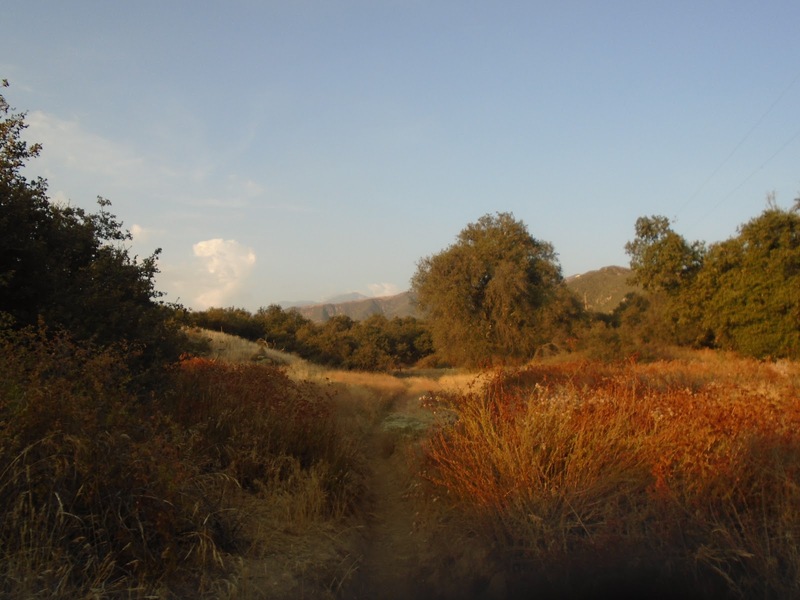 This park property in the eastern foothills of the majestic San Bernardino Mountains features broad grasslands, canopies of centuries-old interior live oak, and threatened chaparral and sage scrub habitats. The property’s box canyon is home to hundreds of species of wildlife and native plants, some of them rare and endangered. The park also preserves the human history of the area in the form of past ranches and homesteads. Step back in time and come visit beautiful Wildwood Canyon State Park! Get out and breathe the fresh air, enjoy the sunset, and experience Wildwood Canyon State Park at twilight. Join a trail guide naturalist for this easy to moderate walk (approximately 2-miles) starting at 6:00pm. Then stay afterfor a BBQ dinner with s'mores and an exciting campfire program from 7:00pm-8:15pm! Dogs: Yes. Dogs are permitted on all trails and must be kept on a six-foot-maximum leash and under human control at all times. Recommendations: Wear closed-toe shoes, bring a flashlight, and a bottle of water. A light jacket is also recommended. Looking for educational and engaging field trips that make lasting memories? 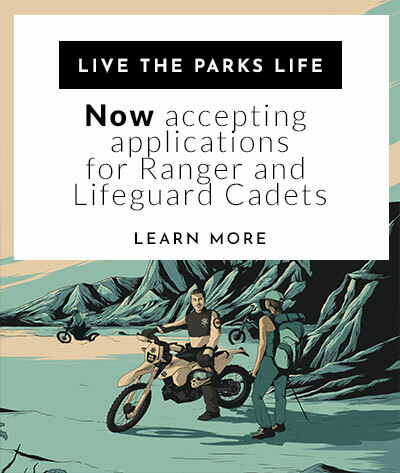 Bring your class to Wildwood Canyon State Park! These School Tours are available by appointment Wednesdays and Fridays. The human history of Wildwood Canyon is contains stories of the past from Native Americans to ranchers during the Great Depression, all the way up to the victory for preservationists in conserving this place in 2003. Communities of different tribes have lived within the greater Yucaipa area for thousands of years, and Indians themselves are thought to have dwelled in California for 10,000 years. The groups in the immediate vicinity of the park were the Cahuilla People and the Serrano People. The Cahuilla People lived mainly as far west as Wildwood Canyon and far into the Colorado Desert. They are commonly regionalized as the Mountain Cahuilla (living in the San Jacinto and Santa Rosa Mountains), the Desert Cahuilla (living in the Coachella Valley), and the Pass Cahuilla (Banning/Wildwood Canyon). Interestingly enough, the Cahuilla were the only tribe known in southern California to dig wells for water. The other major tribal group to call Wildwood home was the Serrano Indians, a smaller people by number of only about 1,500 in 1770 A.D. The Serrano, or “highlanders”, were called so by the Spanish because the Natives lived primarily in the high-elevations such as in the San Bernardino, San Gabriel Mountains, and the Upper Mojave. Both the Cahuilla and Serrano Indians were of the Ute-Aztecan Language Family, and were part of the “Shoshone Bulge” community, which contained many linguistically-similar tribes living in modern day Wyoming and Utah. The Copa-Maricopa Trail (near today’s Interstate 10) was an important trade-route for inland and desert tribes to exchange goods with coastal peoples. In all, Indians of this region had to adapt to the reality of the natural world around them through food, shelter, clothing, and entertainment. Today, descendants of both tribes live in the our local communities and on regional reservations, where they partake actively in modern life, while remembering the beauty of their heritage. The first settlers of European descent came through the area in the late 1700’s in the form of Spanish Explorers and Missionaries. After Mission San Gabriel was founded and dedicated in 1771 A.D. near Whittier, CA, a series of assistencias, or “assistant missions” were formed, each with its own grazing land for cattle, agricultural area for farming, and chapel for worship. Along with these assistencias were rancheros, granted by the Spanish, and later Mexican, Governors of California to individuals wishing to increase their land holdings for cattle. The nearest assistencia to Wildwood Canyon was Mission San Bernardino, founded in 1812 by Spanish Franciscan Missionaries, while the local rancho, Rancho San Jacinto y San Gorgonio, was formed in 1843 under Mexican rule. Surprisingly, neither the Spanish nor the Mexicans seem to have herded or cultivated in Wildwood Canyon, but their work in the nearby communities has certainly shaped the cityscape seen today. By the 1850’s, with California as an American state, the first development to Wildwood Canyon came. James Waters, a hog rancher, grazed his swine in the valley, and until the 1920’s this canyon was known as “Hog Canyon”. Various other settlers moved through during the early 1900’s, and in 1940 Vernon Hunt bought foreclosed land in the upper canyon as a staging area. Today’s Hunt House is called so as a dedication to this early figure. The story behind the Hi Up House in the park, was born of the work of Charles McCullough and family. Mr. McCullough was a Pasadena 1930’s suburbanite whose investment in apple farming went bust during the Great Depression. In 1932, to better his family, he bought a parcel of land in the canyon, and brought his family with him. Here, the McCullough family lived for over two decades, even living in a converted chicken-coop in their early years. To support his family, Charles worked a variety of jobs in the San Bernardino Valley which included construction and lumber. For all settlers in this area, adaptability was an essential and irreplaceable requirement. With no reliance on modern conveniences, these people had to persevere through trials to make a better life for themselves; certainly an ideal the rings true today. Wildwood Canyon was destined to be developed into homes as recently as 2000. 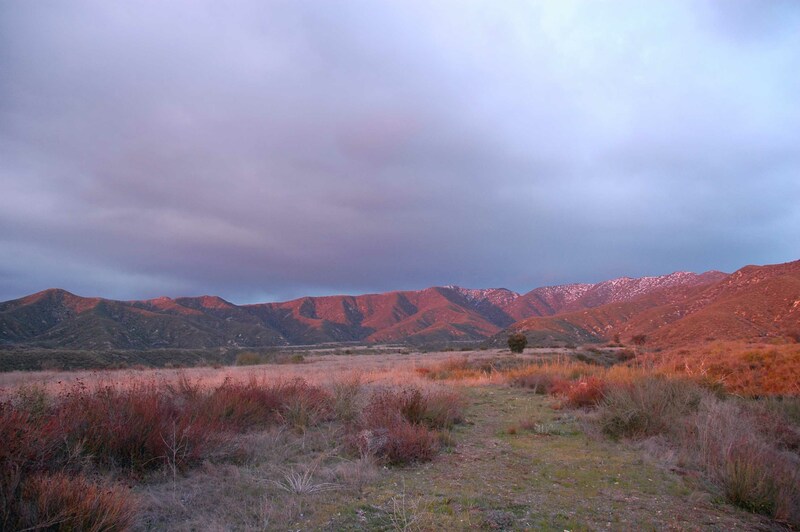 Thanks to efforts of conservationists who recognized the important and vulnerable wildlife community living here, human history preserved within, and recreational opportunities available, Wildwood Canyon became part of the State Park System in 2003. Today, the Supporters of Wildwood Canyon are the main engine of what keeps this hidden gem so beautiful and so pristine, and volunteers are always welcome to keep this canyon forever pure. Join in on the rich history of Wildwood Canyon by making memories immersed in beauty and wonder of nature. Wildwood Canyon, and its name might imply, is home to a rich and wild community of amazing plants and animals. The unique position of the park against the foothills of the San Bernardino Mountains along with its elevation at 3,000’, allows for more rainfall than in the surrounding valleys and cities. Consequently, with more rain grow a more varied selection plants, and habitats; the basis of the food chain for animals. This park protects an important corridor for various species, some found native only to California. All forms of life living in the park are specially adapted, through the wonders of nature, to live and thrive at Wildwood Canyon. The cool wet, and at times snowy, winters turn into hot, long, dry summers, where little or no precipitation may fall for months on end. Come Autumn, and wildlife at the park must be prepared for the annual hot, dry, and wildfire-provoking Santa Ana Winds that howl through the park, before restarting the cycle in the dampness of a new cool winter. This constant flux of reality is the condition in which the wildlife of Wildwood Canyon is ready for. Globally speaking, the climate of Wildwood Canyon is extremely rare. The hot, dry summers, and cool wet winters that characterize the region’s weather is known as a Mediterranean Climate. A Mediterranean Climate is found along the west coasts of continents along cold ocean currents between 30-40 degrees north or south of the equator. Around the world, the regions of a Mediterranean Climate include the Mediterranean Basin, parts of Chile, South Africa, Australia, and California. Covering only about 2.5% of the world’s land area, yet containing 15% of its plant species, this climate’s abundance of biological diversity is well articulated in the main habitats found in the park such as the Oak Woodlands, Chaparral, and Coastal Sage Scrub. Being elevated at the foot of the San Bernardino Mountains, Wildwood Canyon dwells in a “microclimate” within its parent Mediterranean climate, receiving colder and wetter winters than the surrounding valleys. Each member of Wildwood’s ecosystems is specially adapted in unique ways to conserve water over dry periods, and make the most of water’s abundance in the wet times. Coast Live Oak: This magnificent drought-resistant tree is the grand hallmark of the Oak Woodland community, and is endemic only the California a coastal areas. Some trees found here are over 200 years old, and many form dense canopies of shade together, with varied vines and poison oak thriving in the understory. What starts as a small acorn can be transformed over time into this glorious ageless wonder, which serves as a vital habitat and food source for many species of animals. Chamise: One of the most common members of the Chaparral community found at Wildwood Canyon, Chamise, also known as Greasewood, is adapted well to life after fire. With an appearance similar to an overgrown Rosemary bush, it may resprout right from its burned stump after wildfires. Buckwheat: A common plant growing throughout most of southern California, various buckwheat species are easily distinguishable by their short, narrow leaves, and beautiful white flowers that turn into a rusty reddish as the dry months roll through. Rarely exceeding four or five feet in height, the buckwheat may bloom at any time of the year, but is most likely to following the wet winters. Our Lord’s Candle Yucca: This relative of the artichoke is a far grander cousin that its tableside cousin. Its collection of sharp, bayonet-like leaves point downwards towards the center helps the plant channel water to its root system during storms, while scaring away potential enemies unwilling to be cut. The yucca will continue to grow for years until its blooms following winter rains, when it produces a stock of sweet-smelling flowers up to 20 feet tall! After pollination by the yucca moth and the release of its seeds, the plant dies, having accomplished its life’s goal of providing for the next generation. Keep an eye out for this California wonder! Always remember to keep wildlife safe and healthy by not feeding or touching them. Keep a sharp eye out and see what you find! Black-Tailed Jackrabbit: A large member of the rabbit family, this creature has extremely strong legs, and very large ears. Can be seen anywhere in the park. Mountain Lion: The largest carnivores in California, the mountain lion (or Cougar, Puma, Panther) is a solitary creature, preferring to spend its days high in the hills and remote valleys away from people. Its main food source is Mule Deer, and to catch it, the mountain lion can leap up to 20’ in a single bounce! The cougar is actually more related to your house cat than to any other large cats such as a lion or jaguar. Red-Diamond Rattlesnake: The Red-Diamond is endemic to the warm, region of around Yucaipa down into Baja California. He is an amazing creature, to be admired from afar, as it is highly venomous. The rattle of all rattlesnakes is made of keratin (same material as your fingernails), and can vibrate at up to 50 times a second to produce the rattling sound. Granite Spiny Lizard: Watch for these little creatures in warm weather basking on rocks. Males are dark with blue tints and orange flashes, while females are brown with orange markings. Red-Tailed Hawk: These grand birds ride thermal airwaves in the sky scouting out the ground for a meal, which may be a rodent, reptile, or even another bird. Their telltale marking is raptor the wide-red feathers it possesses on its rear tailed. Turkey Vulture: These birds are usually the first sign after an animal has died. Their extremely powerful noses are much stronger than other birds, and they can smell a decomposing body from distant area. Once seen hovering over a sight, other creatures get to the meal first, while the Turkey Vulture wait behind to get what is left. Like us on Facebook to see the latest events and photos. Remember, you are entering into nature, and with that, there are inherent risks with that. Cell phone coverage can be spotty, but if you are prepared and careful, you can have a great and safe time! 1. Bring Plenty of Water! 2. Tell Someone Where You are Going!